The summer months in Michigan can be hot and humid. That means you probably rely on air conditioning to keep your home cool and comfortable when the temperatures outside are on the rise. 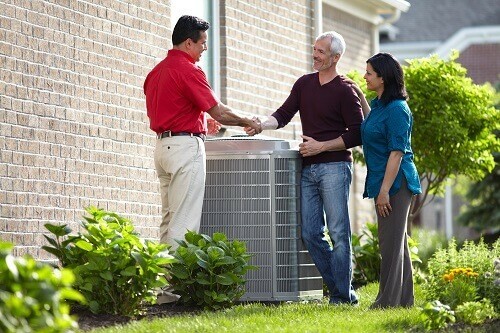 You need a cooling contractor you can rely on to keep your AC system running efficiently and effectively. You should know, you can trust Boelcke Heating and Air Conditioning to help meet your needs. We can help with all of your air conditioning needs, including AC repair, maintenance and installation. We can help you find solutions that are both energy efficient and eco-friendly, so you’ll be comfortable all summer long – and save money on your utility bills. Our expert technicians will meet all your home’s air conditioning needs, providing you with reliable, prompt service and peace of mind. Boelcke is ready to help you get the AC products and services you need for your home. AC Maintenance: Believe it or not, keeping your AC system in great shape can be as simple as getting annual maintenance. When you need air conditioning solutions from a qualified cooling specialist for your home, you can trust Boelcke Heating and Air Conditioning. We can help meet all your AC needs, large or small. Simply give us a call at (269) 429-9261, and we will be more than happy to assist you.